Arrow points to unusual reddish, thin, straight line on one of the sampled silver maple leaves exposed to the Levittown aerial object's glittery light energy. Image © 2008 by W. C. Levengood. Left: “Boomerang” version of mysterious aerial object that morphed into middle pink-colored disc. Right: The pink disc then flashed three oval, white lights on its bottom surface and “little squares of light” dropped like snow onto apartment yard and privet bush. Half a dozen sightings April through July 2008, Levittown, Pennsylvania. Image and drawings by resident and eyewitness. 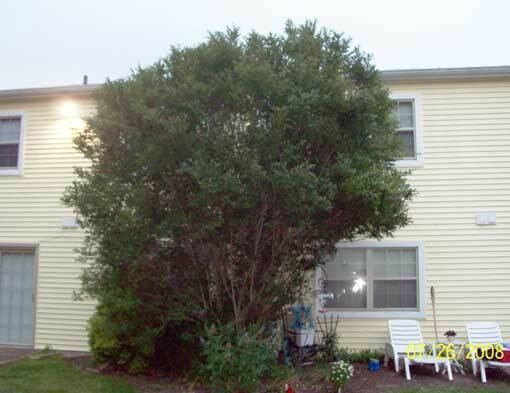 April 1, 2011 reprint of November 17, 2008 Grass Lake, Michigan - The biophysical and biochemical research by biophysicist W. C. Levengood continues with this laboratory report about somatic leaf growth anomalies in privet bush leaves exposed to energy dispersed from unidentified aerial craft over Levittown, Pennsylvania, apartment three times on June 12, July 10 and July 16, 2008.